Sony Ericsson is back with a bang, this time round they have expanded their Walkman line of cellphones (guess the Cybershot fans will have to take a back seat for this time), where the Zylo is the latest model to be introduced. This next generation Walkman phone will not break the bank if you are interested in picking one up, where it not only offers the best musical experience from a Walkman handset, but will also merge both music with social networking in a single device. That’s right, you will be able to catch up with family and friends over Twitter and Facebook among others using but a few button presses, while enjoying your favorite tunes in the background. Apart from that, the Zylo will also sport the TrackID feature which lets you access the name and artist of a track which you currently hear. 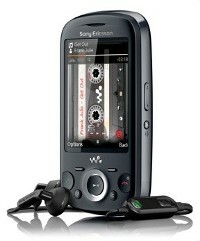 The Sony Ericsson Zylo will sport the human curvature design which is not consistent across the whole Sony Ericsson portfolio. Beautiful and timeless, it also comes with an ergonomic keypad that makes using the handset a joy. Apart from that, the Sony Ericsson Zylo with Walkman will also come preloaded with sounds to spice things up when you’re on an undercover mission – after all, you can pretend that you are still at work, walking on the street or in a restaurant when talking to your other half, although we wouldn’t recommend you build a relationship based on mistrust. Interestingly enough, the FLAC format will make a debut on this handset, letting consumers experience superb lossless quality sound, but it will definitely take up much more storage space than a regular MP3 file. With PlayNow support, you can shop round the clock in a virtual music store, as long as your budget permits. Other features include connectivity to Flickr and Picasa as well as the ability to upload video clips to YouTube straight away with but a couple of clicks. The Sony Ericsson Zylo with Walkman supports UMTS HSPA 900/2100 and GSM GPRS/EDGE 850/900/1800/1900, UMTS HSPA 850/900/1800/1900 and GSM GPRS/EDGE 850/900/1800/1900 networks, where it will hit the market this Q3 with Jazz Black, Chacha Silver and Swing Pink colors to choose from. – does it do more than 45minutes?